Brews quickly and quietly. 5 to 6 minutes per pot. 2 temperature warming plate: hot and extra hot. Ensures correct holding temperature. Coffee travels to bottom of carafe during brewing to mix properly for best flavor. Great coffeemaker & beautiful to look at. This is the best coffe maker I have ever owned. Everything about is superior to all others. An excellent machine worth the premium price. Produces a smooth balanced cup of coffee per the recipient of the gift, my brother. The coffee nut loves this machine. 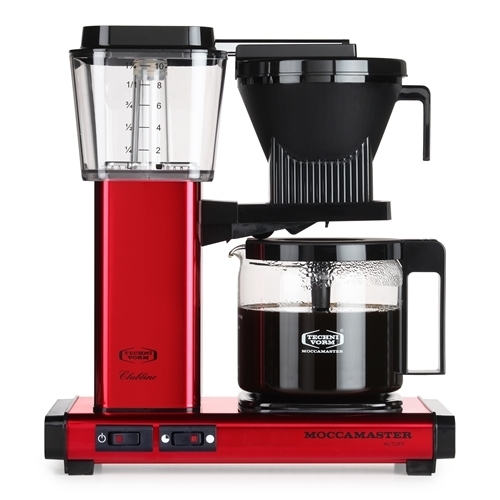 It works super fast and is beautiful, easy to clean, and makes great coffee. I've been looking for a good cup of coffee for a long time. I gave away a 6-month-old Bunn because it only made warm light brown water. This KBG741 is the absolute best ever. I'm very close to buying a second one for my RV.